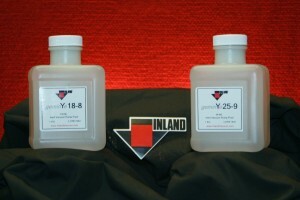 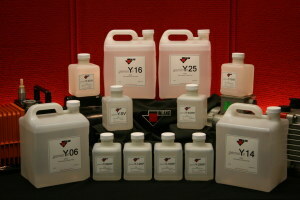 Inland Phosphate Ester-based Fluid - Inland Vacuum Industries, Inc.
Inland 220 and Inland 300 are clear and amber-colored phosphate ester-based fluids for mechanical pumps. 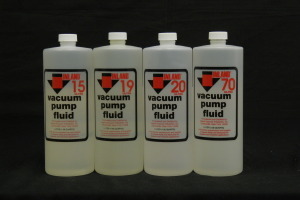 These fluids are an excellent substitute for hydrocarbon fluids in vacuum systems pumping oxygen at a greater concentration than atmospheric. 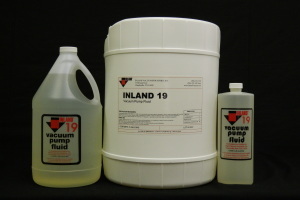 Inland Vacuum’s line of phosphate ester-based fluid exhibits good oxidation resistance and thermal stability, and are considered an inexpensive alternative to inert fluids.